With collapsible side sections. For collection and transport of plants after reed cutting. The rake can be supplemented with strainer plates for collection of waste, algae and absorbents (oil decontamination). 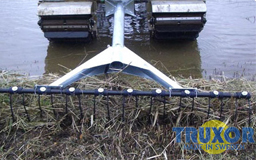 This rake has a higher tip height which make loading of trailers or barges easier. The rake is made of perforated steel plating which allows it to collect smaller particles such as waste, algae and absorbents (oil decontamination). 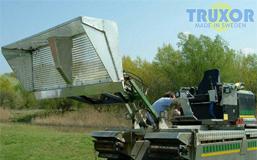 The high tipping rake is suitable for Truxor DM 4700B and Truxor DM 5000. The strong construction of the rake makes it the perfect tool to choose when cleaning the shore and lifting heavier objects. 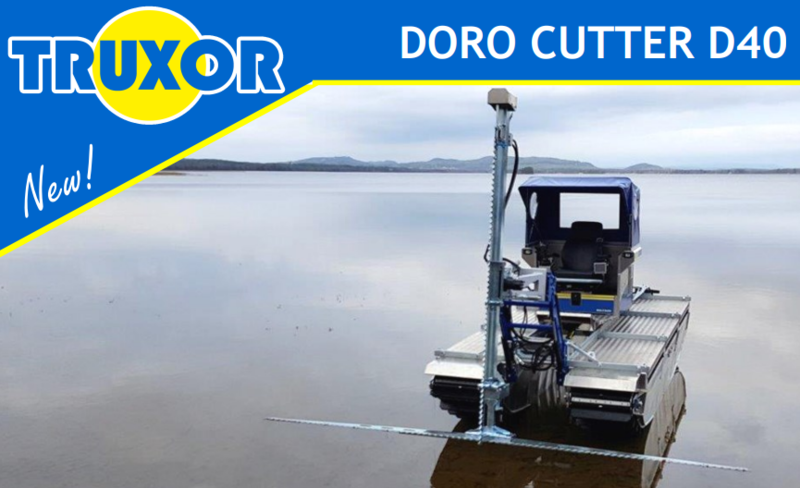 The strong forks can lift stones, trees and plants with roots and other material found along the shoreline and bottom of the lake. The forks can be adjusted to reduce the work width. With sprung pins, material can be pulled into the water where the shore line is uneven. 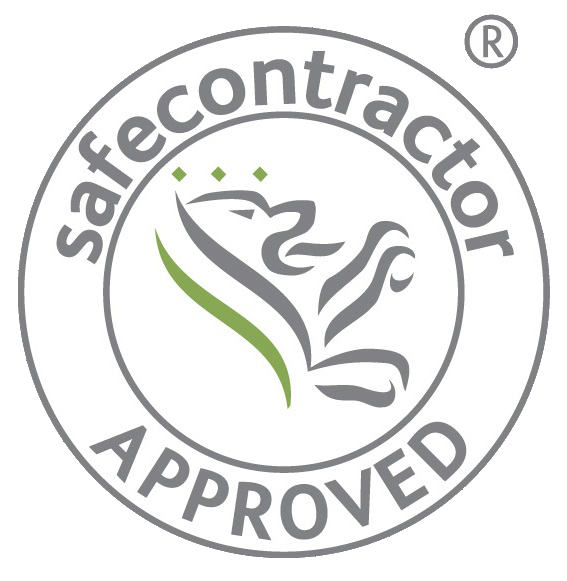 The floating material can then be collected using the standard rake. 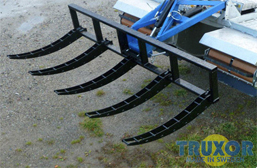 The spring rake is suitable for Truxor DM 4700B and Truxor DM 5000.